Mozilla Firefox (originally named Phoenix and then for a moment known as Mozilla Firebird) is a cross-platform web browser for free which was developed by the Mozilla Foundation and hundreds of volunteers. Version 3.0 was released on June 17, 2008. Through Firefox, the Mozilla Foundation aims to develop a small web browser, fast, simple, and so could be developed (apart from the Mozilla Suite is the larger). Firefox has become the main focus of the Mozilla development along with the e-mail client Mozilla Thunderbird, and has replaced the Mozilla Suite as the official release of the Mozilla Foundation’s browser. * Version 3.0, which was launched on June 17, 2008 is the first version that supports interface Indonesian. * Netscape Navigator, Mozilla Firefox browser was initiated based on this browser. * Internet Explorer browser with the most current user. * Opera, the browser multiplatform from the personal computer to a PDA which is light and fast. * Goodger, Ben. (2004). Mozilla Firefox Development Charter. Retrieved September 22, 2004. * Keating, Wick. (2004). Open source: Swimming with the tide. In Consultants’ Briefing. Retrieved January 8, 2004. 11. ^ http://www.zdnet.com.au/news/0, 39023165,39166227,00. Htm. 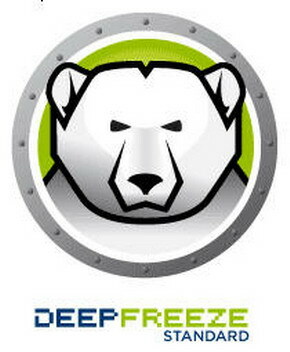 When installing the program, deep freeze in the active state (restart the computer, the program will be lost). When the virus entry, deep freeze in the active state (restart the computer, the virus will disappear). When saving the document, in a state of active freeze deef (restart the computer, the document will also be removed). if you want to download too please. How to Open Service is Deep freeze : shift + double click di Icon.